The peonies updates are finally done on our end and off to our very capable webmaster to do his thing! 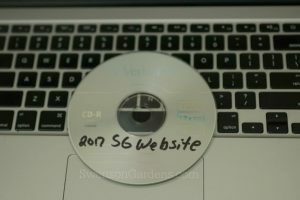 Hard to believe that seven weeks of photography during the bloom season, cropping a few hundred of the almost 3,000 photos taken, editing and proofing are now down to a CD. This time of year is fun to go through all the photos and try and pick the ones that look nice for the website. This year we kept our web designers homepage as is after all the positive feedback we received last year. We asked her for an easy to navigate page and wow did she do her magic. Yes it costs a lot of money to retain her, but she has been designing our site since we first started. She is an national award winning designer and can’t thank her enough! Our webmaster will update us on the 2017 launch date when more facts are available. We can’t wait to show off some of our peonies to you! And who thought only peonies had fun in the winter snow! Almost four inches of snow fell today and the fertilizer production team had fun both inside the barn and in the loafing area. 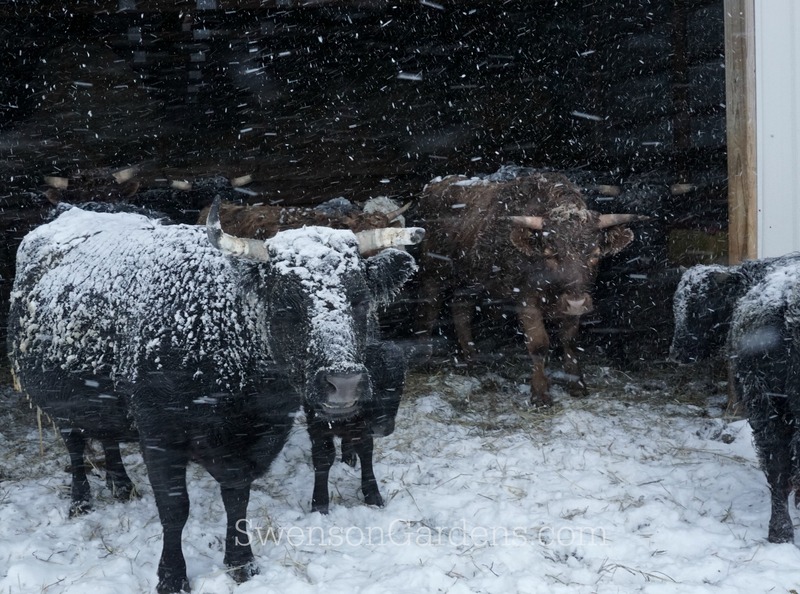 We still can’t believe these crazy adult cows who love to sleep and stay outside when its snowing. All the young ones though prefer to stay in the barn. Bessie aka ‘crooked horn’ the black cow on the left, is ever so watchful of her calf born this fall on the right. She makes sure her calf stays almost in the barn instead of coming to meet Becky when she took these pictures. 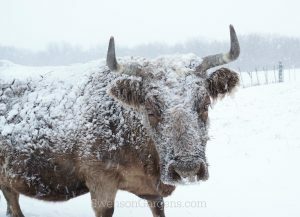 Our matriarch cow Daisy, just Daisy for her, doesn’t like going in the barn and would rather stay out in the snow. If only the peonies were awake to thank the fertilizer production teams for hanging in there during a snowstorm until they wake up in the spring! For us up here in the north country, the peonies are sound asleep! That doesn’t mean we have been though. We are assuming early February, 2017 for our new launch. Of course that may change so will update as more facts are available. 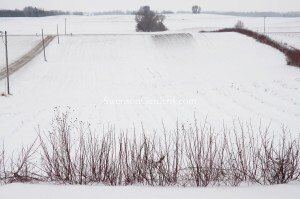 Though the ground is fairly white with snow outside, we sure could use some more! Happy New Year gardening friends! We wish you a healthy and peaceful 2017. Oh and Happy New Year to all the peonies too.